Wow this went fast. As I sit here typing, I'm feeling our little guy shifting and moving around in my stomach - watching my tummy rumble and jumble. I can just picture his little behind sticking out as I see it protruding heavily on my left side. I just want to squeeze it!!! :) Not too much longer of this until I get to actually hold him and kiss his sweet cheeks!! I CAN'T WAIT!!!!!!!!! Overall I'm feeling pretty good, all things considered. I can't complain. 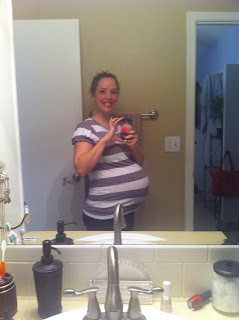 I'm definitely uncomfortable and ready to be done with the whole pregnancy thing but I really do have great pregnancies. 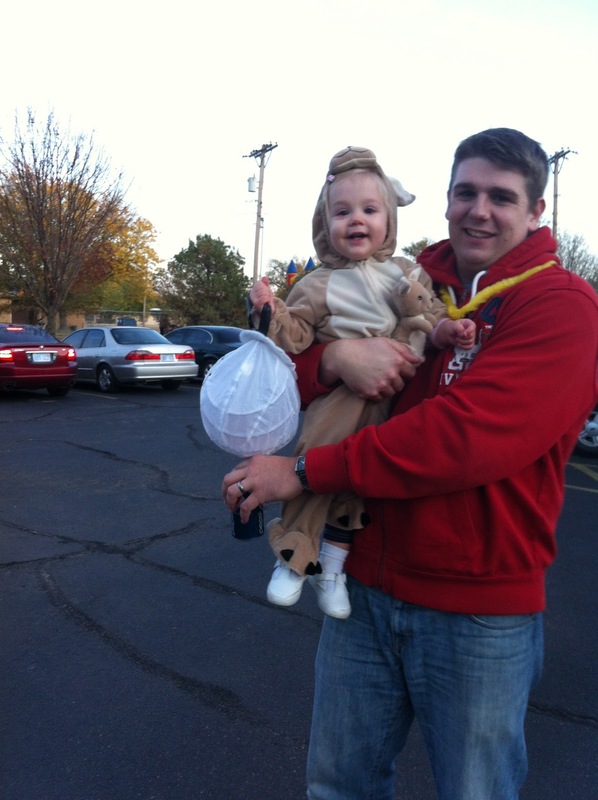 Just ready to move onto the baby part. 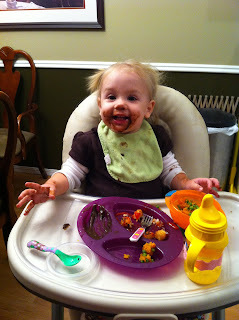 Keira is keeping me on my toes these days and as tired as I get some days, I just love this stage she's in! 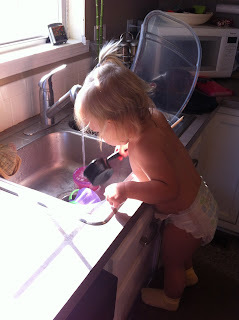 She's learning and talking and communicating and everything else to keep us entertained! Halloween was fun as we took her trick or treating for the first time. 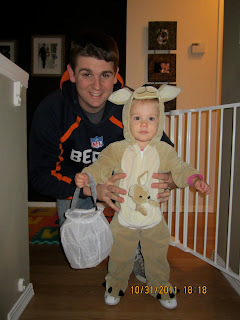 She was a little kangaroo and looked so stinking cute!! I'm trying to find new ways to keep her entertained while we're at the house as it's starting to get a little cooler and is just going to keep moving in that direction. 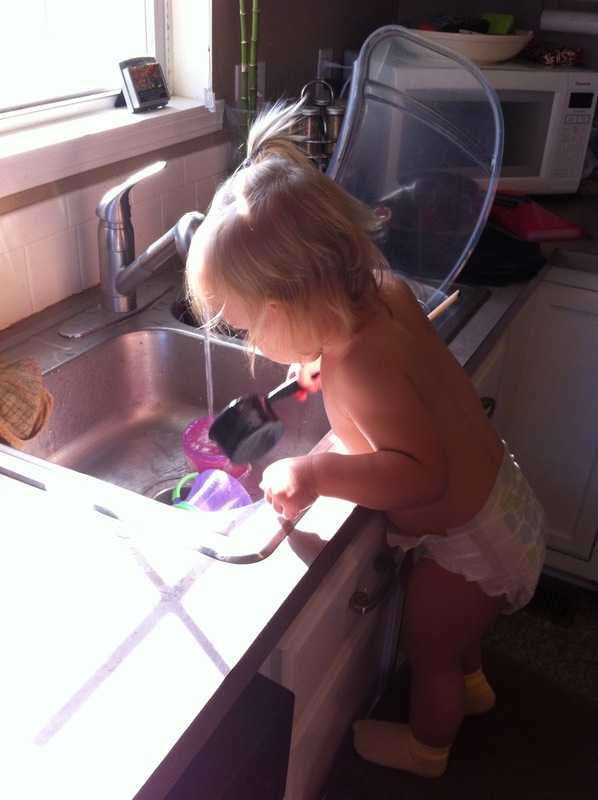 I remember my mom used to let us play at the sink when we were little so the other morning we gave it a try and she loved it!! Granted we were both soaked at the end of her hour long water play session, but she had a blast and it kept her entertained! And this last one is just cause we have such a cute little girl! 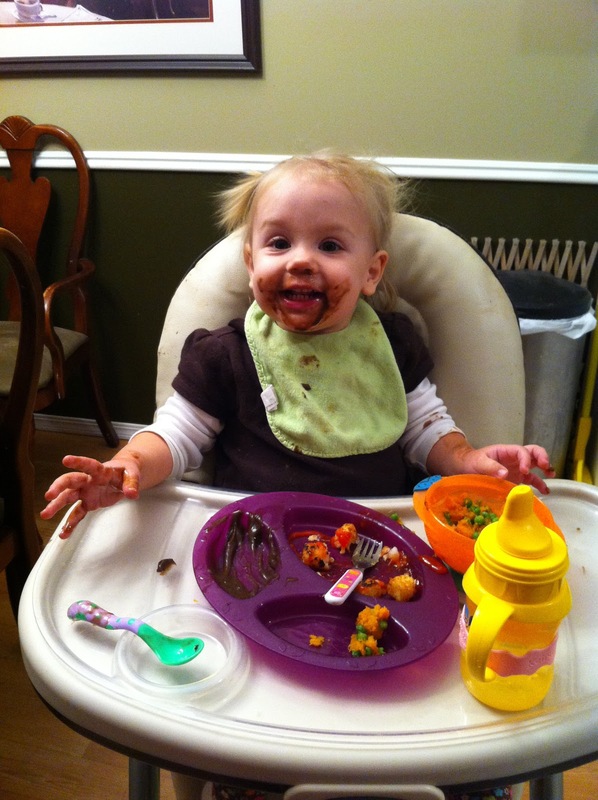 :) She was thoroughly enjoying her dinner and who can blame her - chocolate pudding?? My baby is getting so big!!!! !